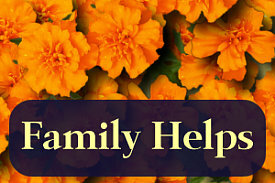 HOME MAKERS AND FAMILY LIVING- Help for ladies who strengthen their families. Defending the Home, Personal Strength, Home Making hints, Shopping Helps, Witnessing Ideas, and Child Raising Suggestions Abound. Is Your Child On Line?